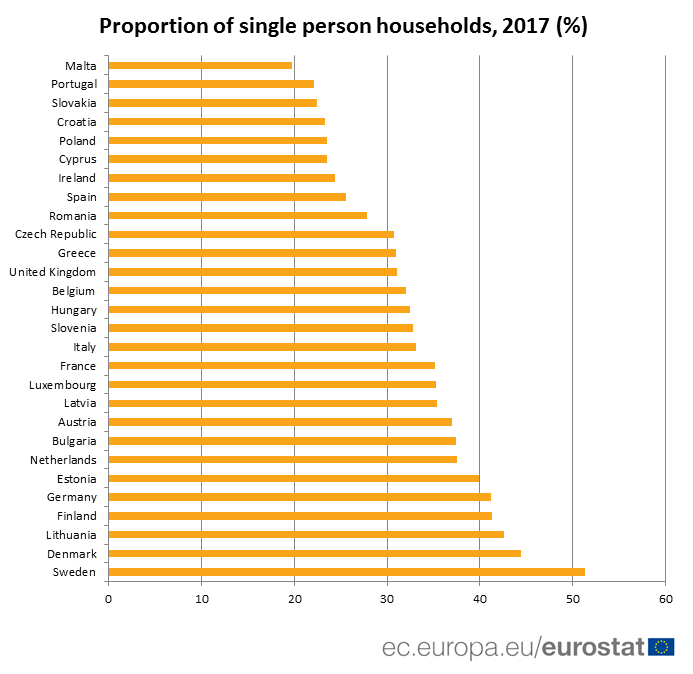 The latest statistics on household size in the EU show that in 2017 around one third of households in the EU comprised single adults without children. The figures are from the EU labour force survey, which also reveals the differences across EU Member States. The proportion varies from just under 20% in Malta, 22% in Portugal and Slovakia to 43% in Lithuania, 44% in Denmark and 51% in Sweden. 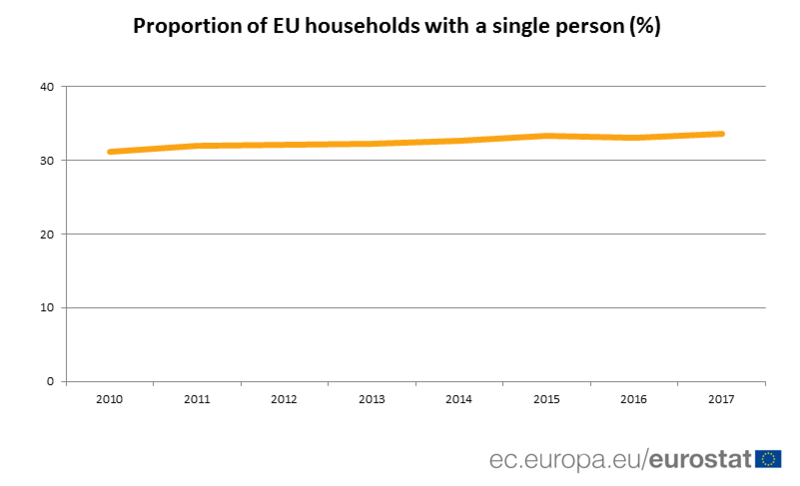 The figures also show that since 2010, when the proportion of households with just one person was 31%, there has been a gradual rise of 2.4 percentage points to 34% in 2017 in the EU. In some countries the rise has been particularly noticeable. In Latvia, for example, the proportion of households with a single person increased from 25% in 2010 to 35% in 2017. The source data set is available here. Information on this topic can be found in the Statistics Explained article on the Eurostat website.